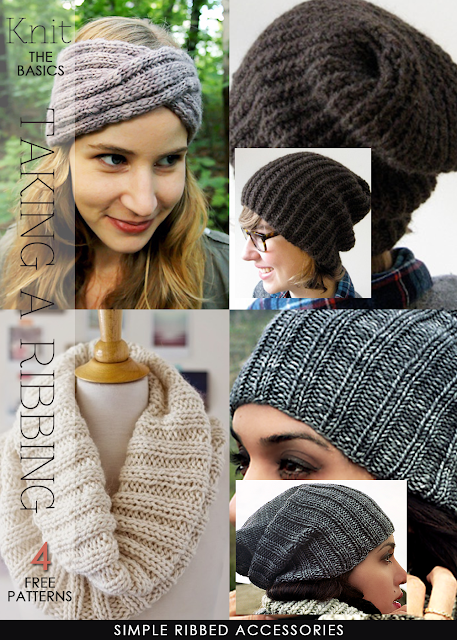 Some of the simplest, classic designs in knitting can make a strong fashion statement. In this case, the humble rib takes center stage whether it's a simple K1, P1 rib or a handsome wide K6, P3 rib. 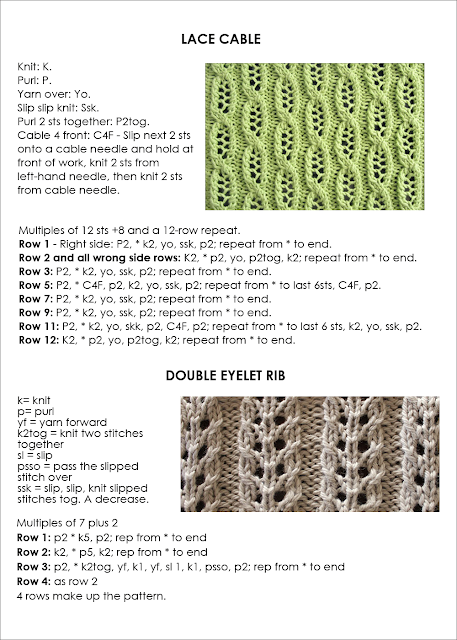 The garment shape and yarn color can convey the fashion message whether it's subtle or in your face bold. 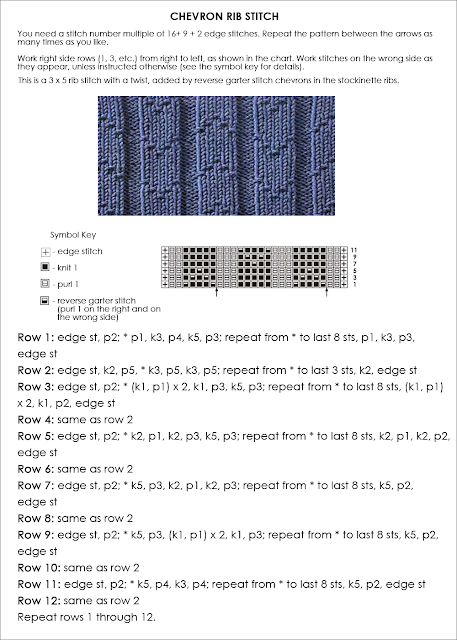 Read further for several collections of free knitting patterns, starting with the quick and easy accessories to the more elaborate pullovers for the male in your family. 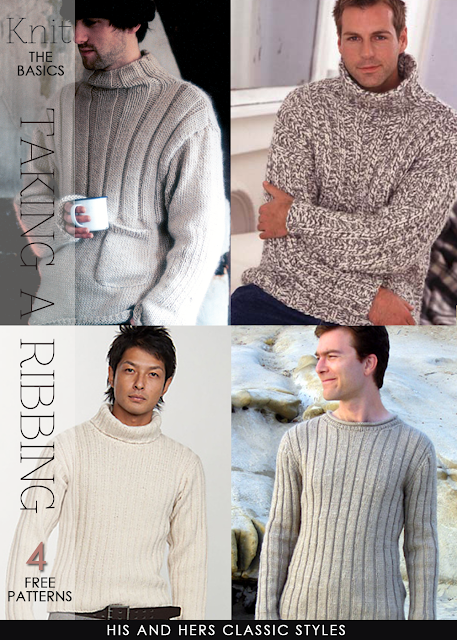 Cozy and oversized or slightly more form fitting, there will be a stylish pattern to suit everyone's taste for this fall. 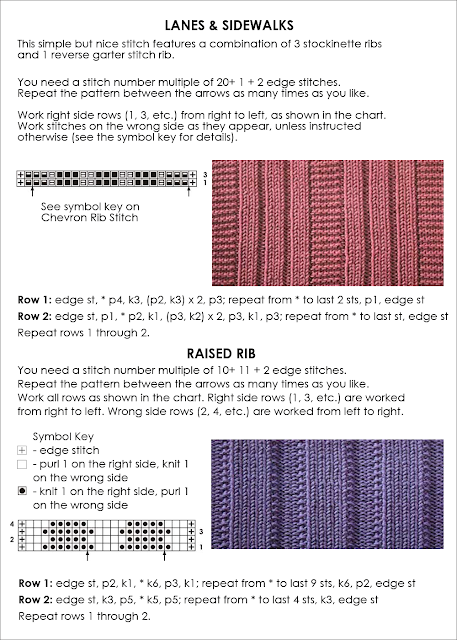 Also, there are several alternative rib patterns for you to try, test and think about using in future projects.